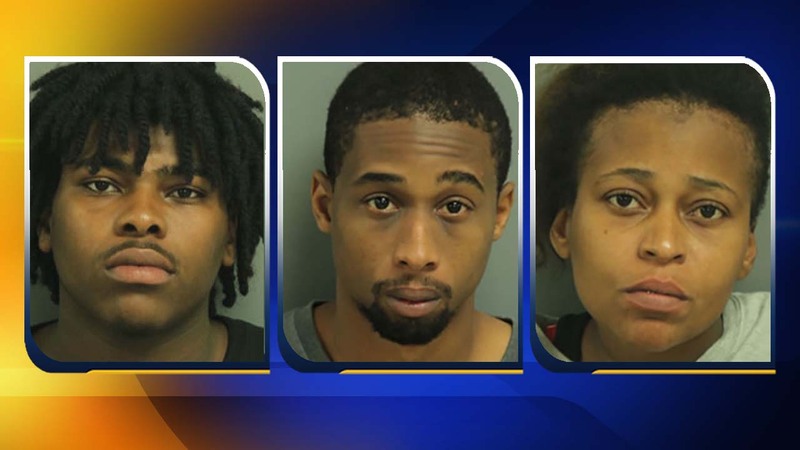 RALEIGH, North Carolina (WTVD) -- What some believe may be the longest armed robbery trial in Wake County has ended with guilty verdicts against three defendants. Two of the three robbers - Jamel Melvin and Javeal Baker - were found guilty of armed robbery and second-degree kidnapping charges. Kianna Baker, Javeal's mother, was convicted of being an accessory after the fact of armed robbery. It took a month to try the case. It was back on July 13, 2015, that three heavily armed men burst into the offices of the Walnut Creek Amphitheatre in Raleigh and made off with nearly $500,000 in receipts. They were on the loose for more than a month before Raleigh police rounded up all the suspects. The third man charged in the case, Adjani Bryant - has yet to be tried.